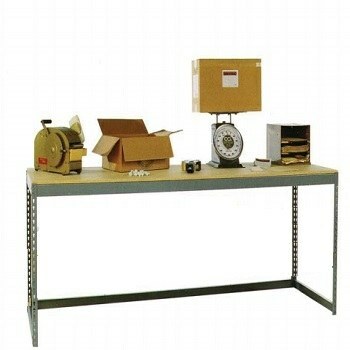 48 x 24 x 36 inch RiveTier II Work Benches are manufactured from high quality steel and designed for durability. Boltless rivet shelving is easy-to-assemble and provides high capacities with low costs which makes it an excellent alternative to metal shelving. This work bench does not include decking. Particle board sold seperately.